The other night I had the pleasure of being on my dude Doc's podcast The Working Class Intellectuals and he asked me how I ended up hosting Morgan State's hip hop show back in the 90's. The crazy thing about how I ended up hosting is I don't think I've ever told anyone this story before. It was back in '93 & I was in my apartment wondering how was I gonna get up there to be part of the show with no internship or practicum (the only two ways to get up there) and I read this article in Vibe Magazine called "This Is Not A Puff Piece" and it was about how Puff had worked his way from interning at Uptown Records to becoming an A&R, to Vice President to eventually becoming president of his own label Bad Boy Records. I was so inspired by dude's hustle I decided to just go to the station, knock on the door and humbly beg for them to let me do anything to be part of the show and they did! I started off as the gopher for show, doing 7-11 runs, organizing the "infamous" 'EAA record cabinet and basically anything they wanted me to do. A month & change after I started, the host Vinny V told us that he was leaving and he wanted me to take over the show. Of course this pissed off all the folk who had already been up there & thought they should've been next to host but God had different plans and I went on to host the show from '93-2000. All of that to say is if it wasn't for me reading that article on Puff I doubt I would've had that umph and hustle to kick in the door like BIG to become the host of Strictly Hip Hop. 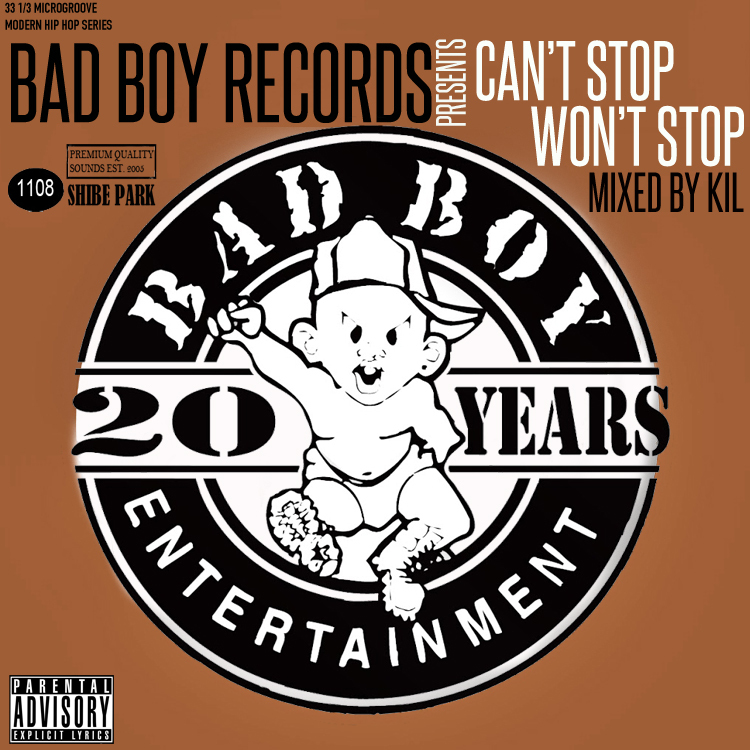 And since we're on the topic of Puff, just in case you've been buried under a rock for the past month and haven't peeped his documentary on Apple Music "Can't Stop Won't Stop" PLEASE stop sleeping and watch the doc that help inspire me to put together this 2+ hour mix of NOTHING but bangers off of Bad Boy Records!